Краткое описание: Experience a gravity-defying adventure! * Shake it! 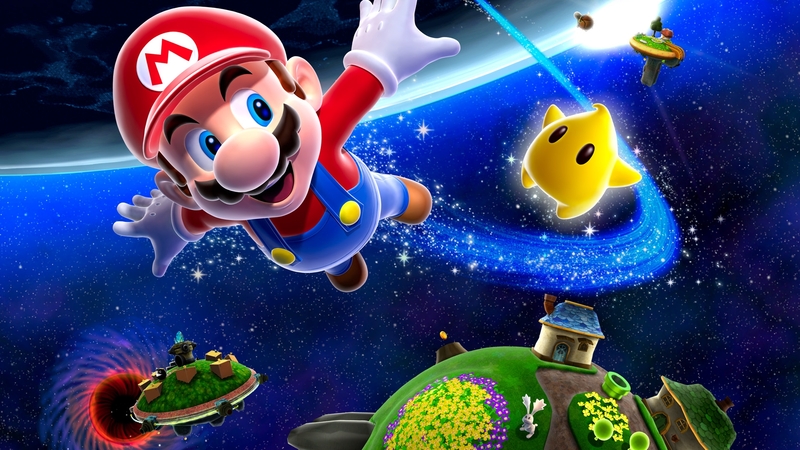 Controlling Mario is as simple as can be with the Wii Remote and Nunchuk. 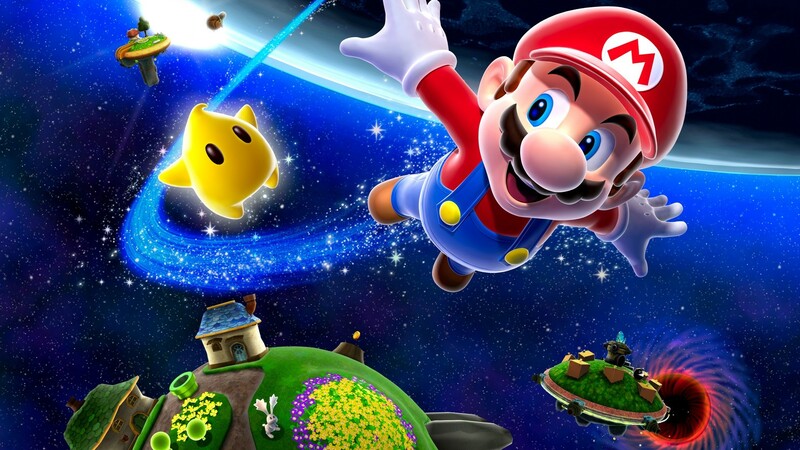 Move Mario with the Control Stick and shake the Wii Remote to perform a spin move or cue Ring Stars that launch you to and from planetary objects. You can even point at bits of stardust to collect them or latch onto Beam Stars to blaze a magnetic trail through the heavens. 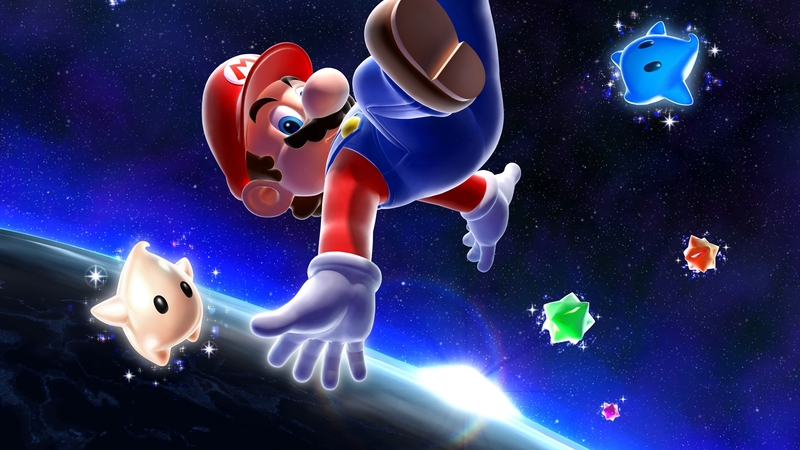 * Mario can run, tiptoe, jump, triple-jump, backflip, and long-jump, but what he'll do most is spin. 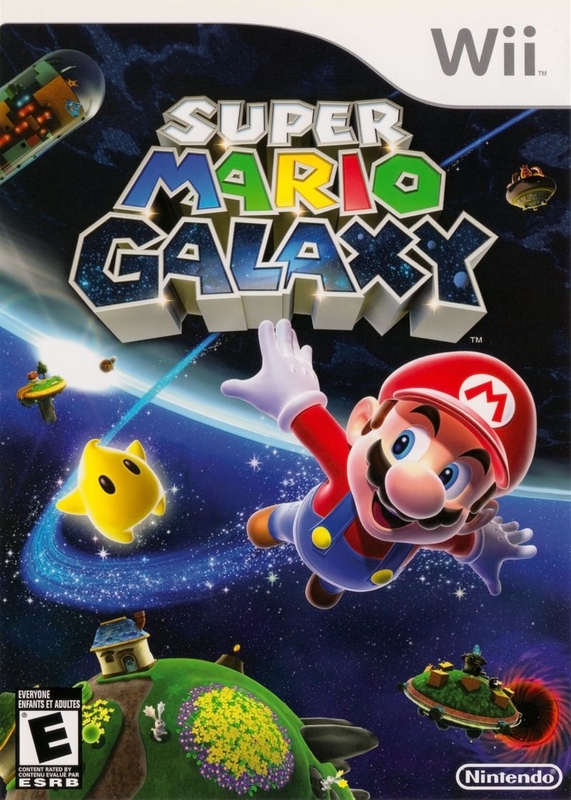 By shaking the Wii Remote, players make Mario spin around with fists outstretched, allowing him to pummel enemies and cue Star Rings that launch him from planet to planet. 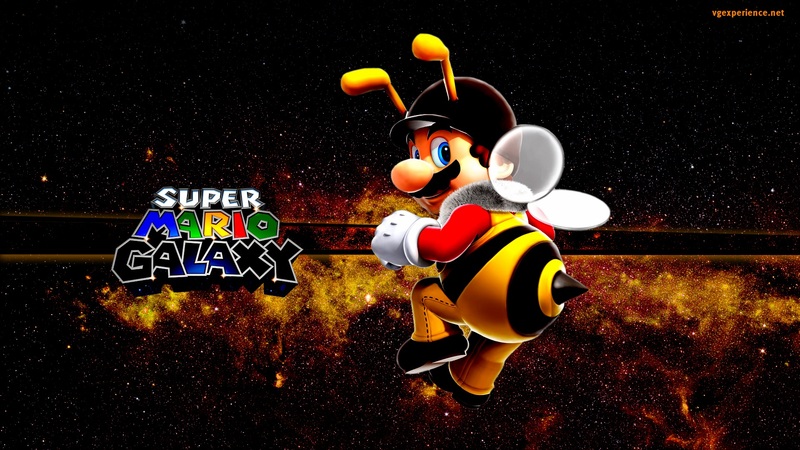 * He can also find plenty of power-ups: A Bee Mushroom turns him into Bee Mario, allowing him to fly for short periods of time and cling to honeycombs. 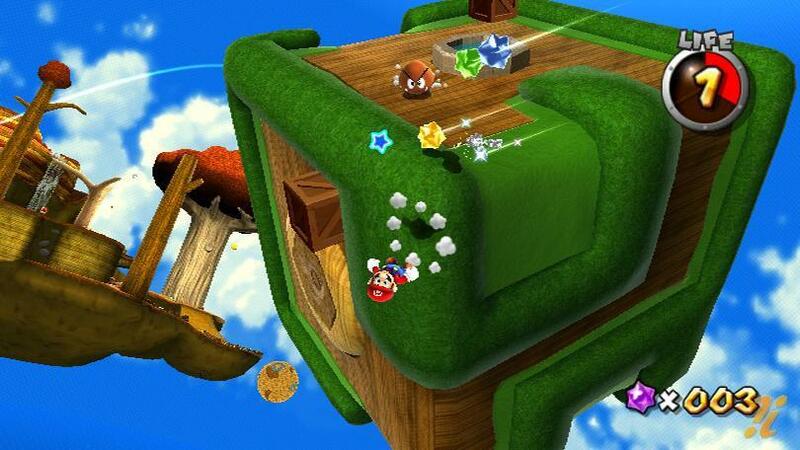 A Boo Mushroom turns him into Boo Mario, allowing him to float and turn invisible to pass through mesh gates. 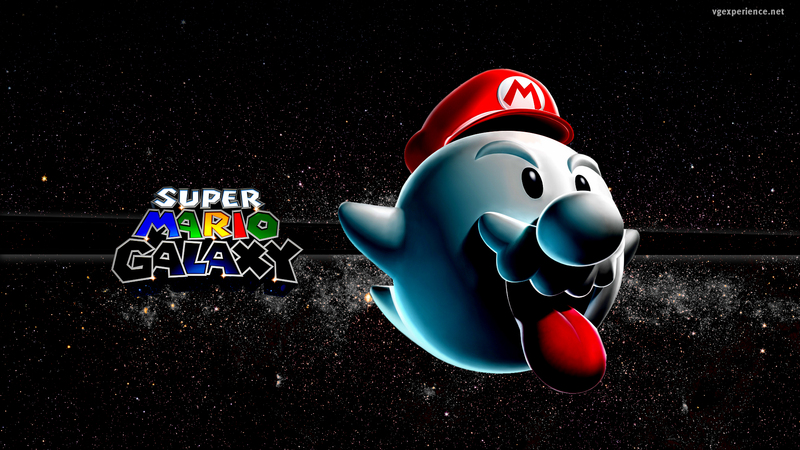 * He'll constantly collect bits of stardust. These can be fired at enemies using the B Button. 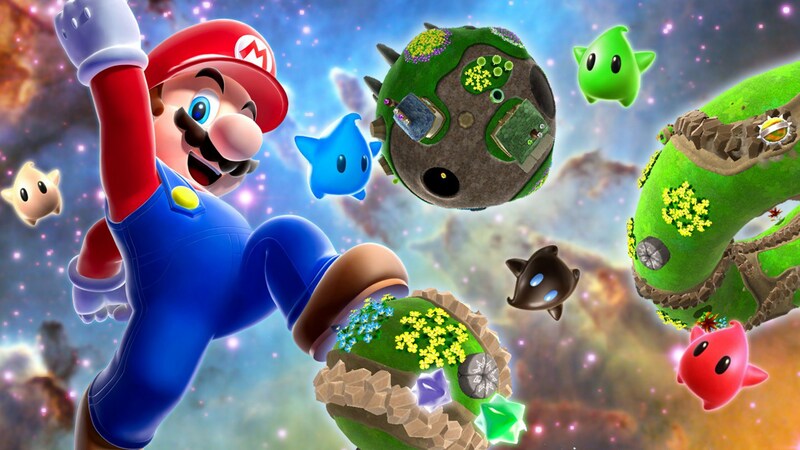 A second player can even take on this role, using a second Wii Remote to stall enemies, fire stardust, or even sweep aside projectiles. Experience a gravity-defying adventure! 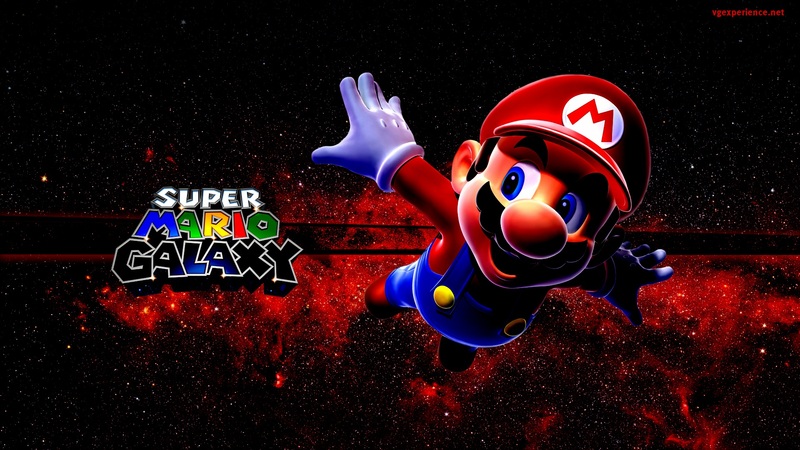 * He'll constantly collect bits of stardust. These can be fired at enemies using the B Button. 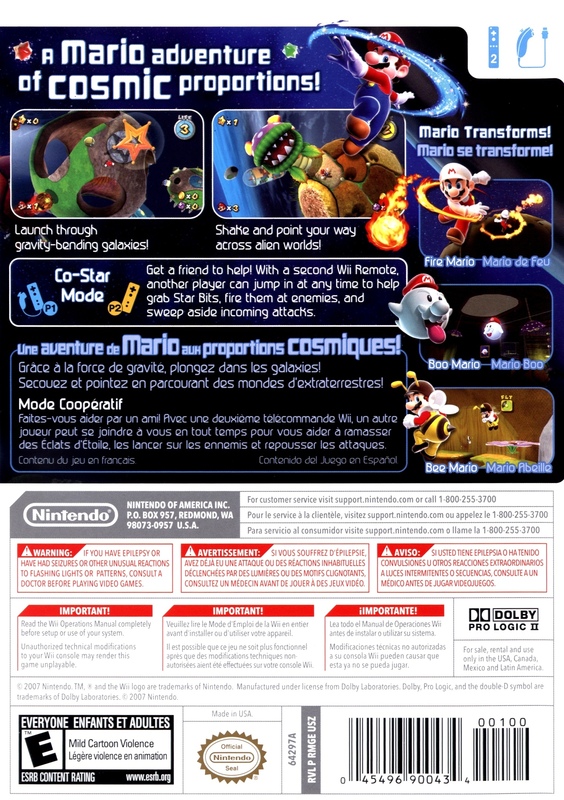 A second player can even take on this role, using a second Wii Remote to stall enemies, fire stardust, or even sweep aside projectiles.